8 or the Calls-to-Action made by the Truth and Reconciliation Commission of Canada call for training that includes education on Indigenous history, the legacy of residential schools, treaties and Indigenous rights, Indigenous law, Indigenous-Crown relations, conflict resolution, human rights, and anti-racism. #24 Medical and Nursing schools in Canada. #27 Federation of Law Societies of Canada and their members of the legal profession. #57 Federal, Provincial, Territorial, and Municipal – all levels of Government and all Public Servants. #86 Canadian Journalism programs and Media schools. commit to meaningful consultation with Indigenous peoples. #93 All Newcomers to Canada. continuing education credits, and is recognized by many education institutions. –including compliance and reporting obligations. 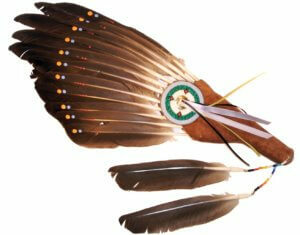 training as required by many Indigenous organizations and First Nations groups. Our training is recognized and recommended by Indigenous groups and leaders, which is fundamental to meeting corporate obligations and training requirements in support of programs like the CCAB (Canadian Council for Aboriginal Business) PAR initiative or the Government of Canada’s directives to all Canadians on adopting the Recommendations of the TRC (Truth & Reconciliation Commission).